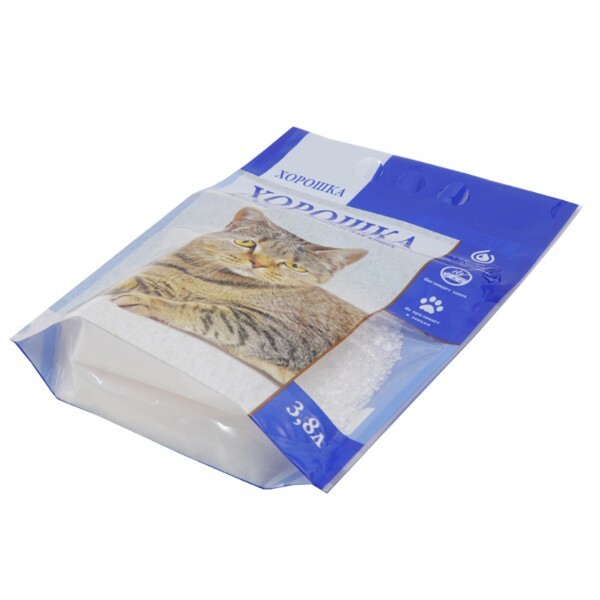 Cat litter bags are used to package variety of cat litter. 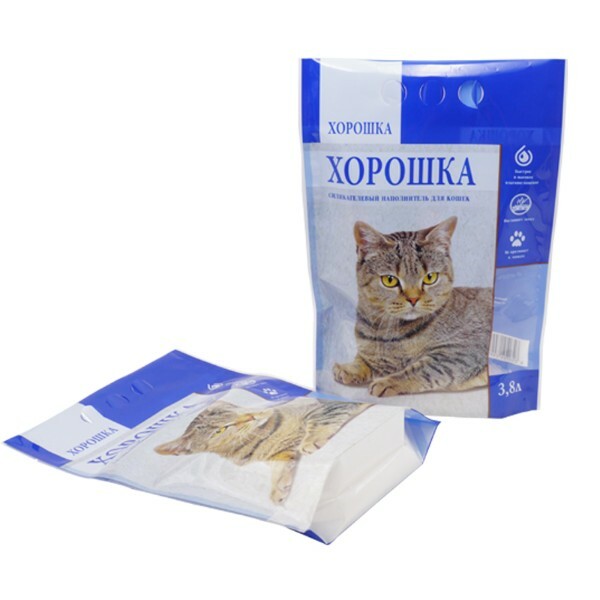 Cat litter bags can protect cat litter quality and prevent volatilization, penetration, collision and extrusion. The quality of cat litter bags directly affects the grade of cat litter. 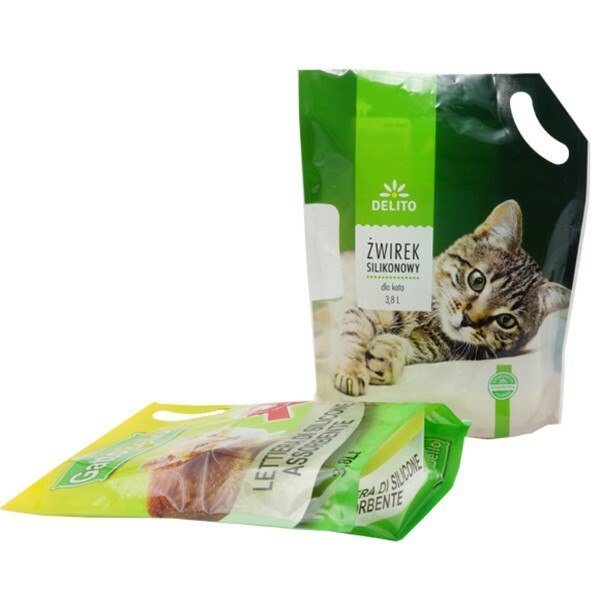 Therefore, a good cat litter bags supplier is critical. Weihai Woda New Material Co.,Ltd. is engaged in the production of cat litter bags. Believe our factory will be your best choice. 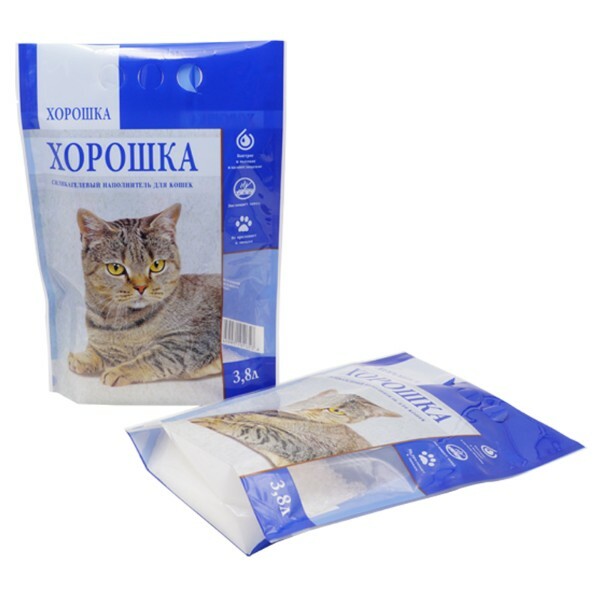 Typically cat litter bags are composite packaging bags which are made from two or more layers. 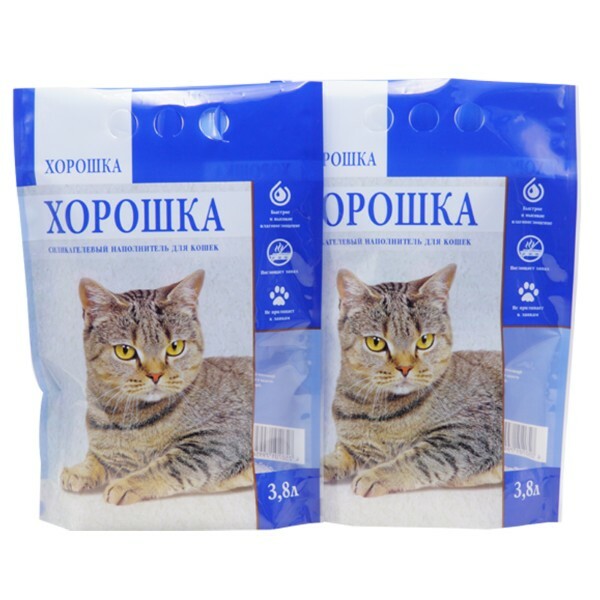 We can give reasonable suggestion on materials of cat litter bags according to customer’s requirement. 3. 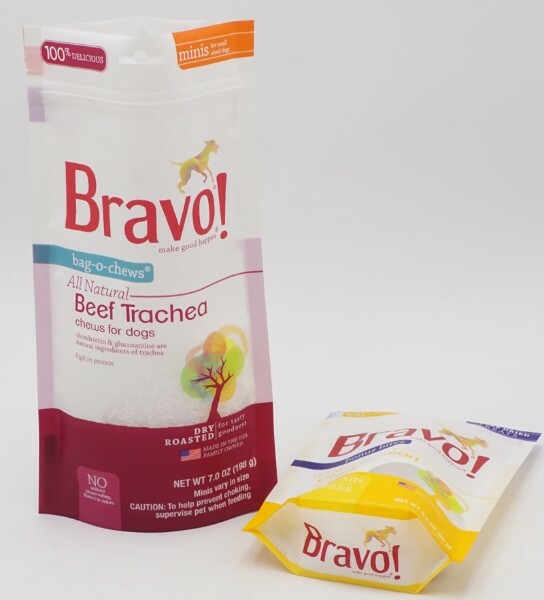 Printing: Gravure roto printing according to various pet food bags’ design. 6. Thickness: Customized from 50-200micron or 2-8 mil. 7. Sample: Free samples can be offered for quality check and size test. 8. Delivery time of samples: Within 48 hours without your own logo. If customized samples with your own logo please contact us for more details. 9. Optional elements: Hang hole, zipper, tear notch, clear window, high barrier etc. 2. 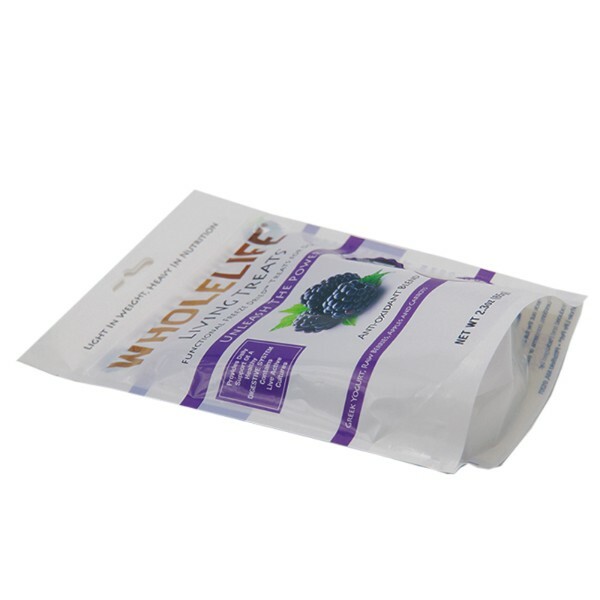 Cat litter bags is made from food grade materials.Our stand up bags use food grade materials which are contaminant free and perfectly safe. 3. Excellent service provide from Design, sales,after-sale service. Our company owns the leading high-speed gravure printing presses. The machine is fully automatic computer control, with precision overprint that can maximize the effect of artwork to achieve the desired effect of the customers. Weihai Woda New Material Co., Ltd. uses advanced solvent-free composite technology, with high efficiency (400m/ min), environmental protection, energy saving advantages, further enhance the quality of products, to create better value for customers. Weihai Woda New Material Co., Ltd. imported the advanced high-speed inspection automatically machine from Japan, which can be controlled and operated by computer. It can pick out the quality flaws in production process. And all bags will be examined again by labor after bag making. 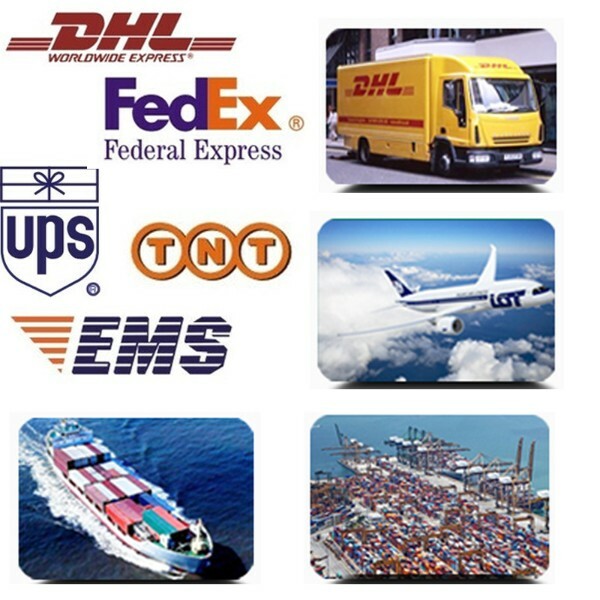 1) By courier like DHL,UPS, TNT, FEDEX etc, suitable for urgent time and small quantity. It is door to door, usually takes 3-7 working days. 4) By railway to some inland region or countries in Asia or Europe is also available. 5) We can also send the plastic packaging to customer’s other suppliers in China if any such requirement. 6) The closest port is Qingdao. We can also quote with other port if any requirement. 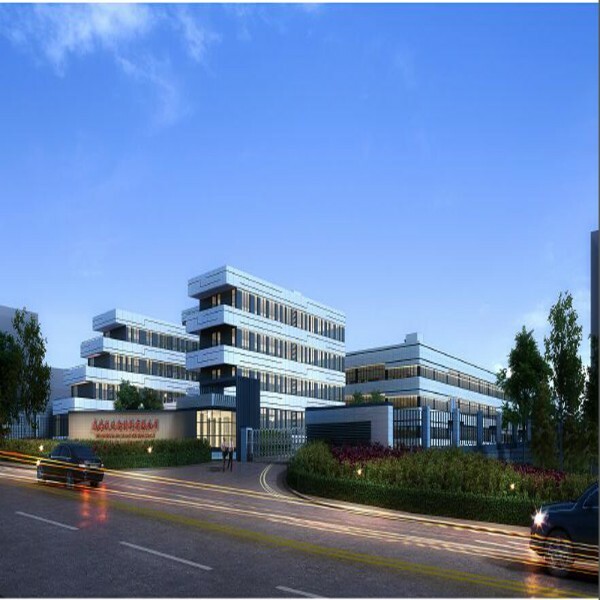 Weihai Woda New Material Co., Ltd. is located in Weihai, a beautiful coastal city in eastern China, and covers an area of over 30,000 square meters, with advanced technology,Japan's modern production equipment and well-trained team. Since its establishment in 2001,dedicated to the production of various food packaging bags, snack food bags, pet food bags, coffee bags, tea bags, kraft paper bags, various Shaped bags and high quality color standard flexible roll stock. 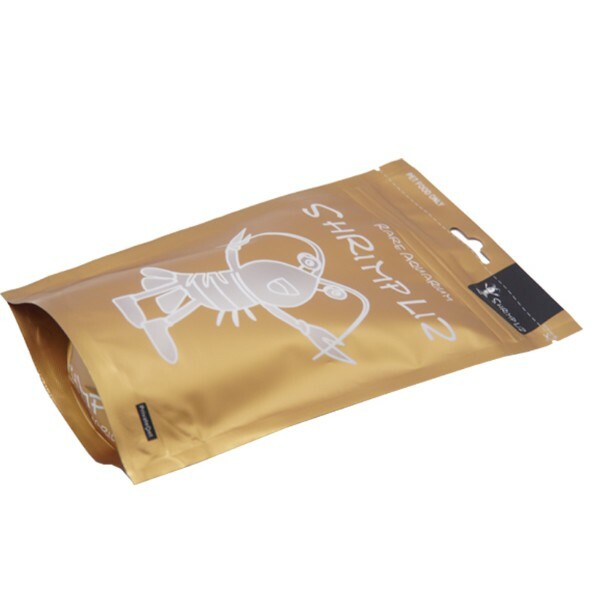 Our main products including: stand up pouch, box pouch, quad seal bag, 2-side seal bag, 3-side seal bag, bottom seal bag, spout bag, back seal bag and roll film.Weihai Woda New Material Co., Ltd is your Soft Packaging Expert. 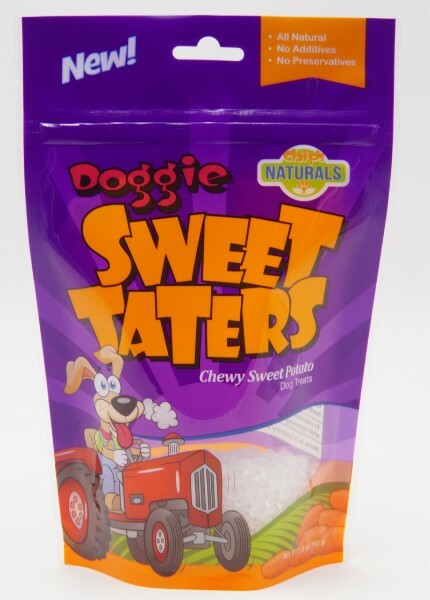 We can customize plastic packaging bags according to customers' various needs. Please kindly tell us your needs. Q1: Are you a manufacturer of packaging bags ? 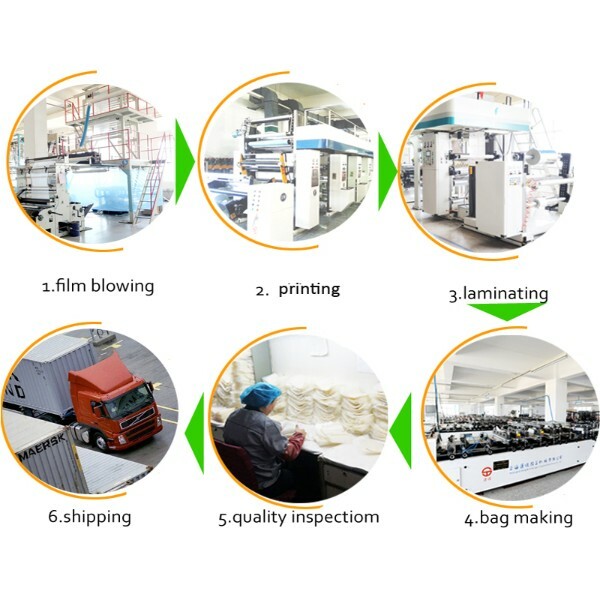 A: Yes, we are packaging bag customized manufacturer and we have our own factory which is located in Weihai, Shandong with 17 years experience. Q2:What's the information should I let you know if I want to get a full quotation? Q3:Can I get samples of your products? A: Yes, we are always happy to send you samples of our products. Simply let us know what your requirements are and the delivery address. Q4:What kind of packages you manufacture? 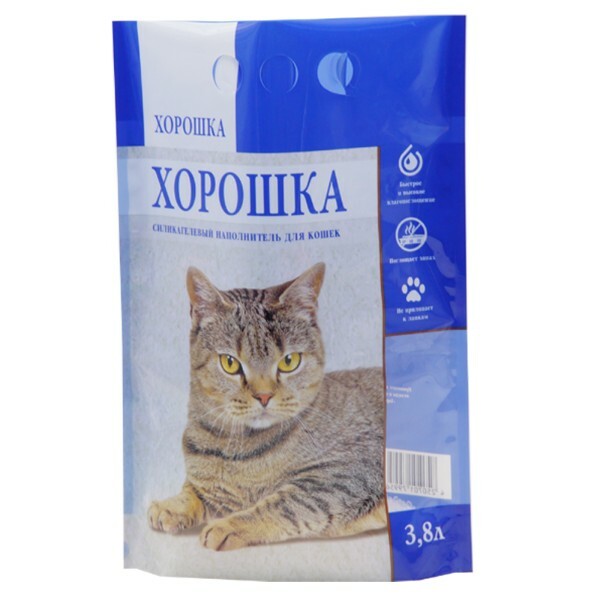 Our company is a leading supplier and manufacturer of wide range ofcat litter bags, which is fabricated by using the latest technology and high-quality raw materials. 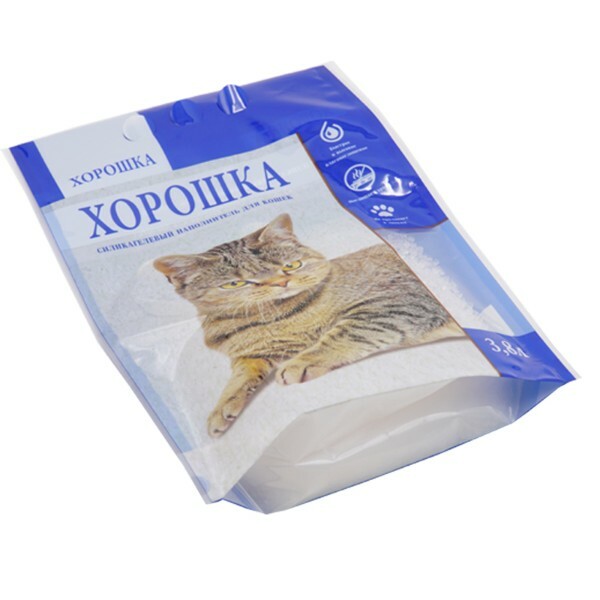 Cat litter bags of our product are exported many countries all over the world. We never sacrifice quality for raw material price. 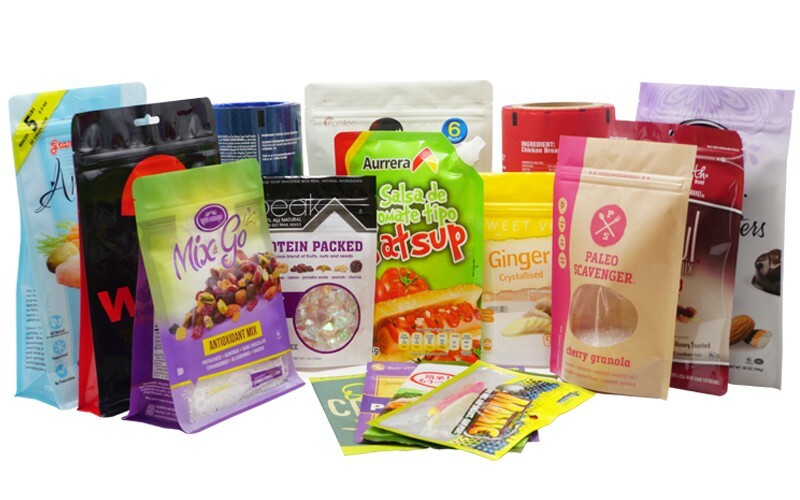 Partner with us to innovate your packaging, increase your margins and grow your company.